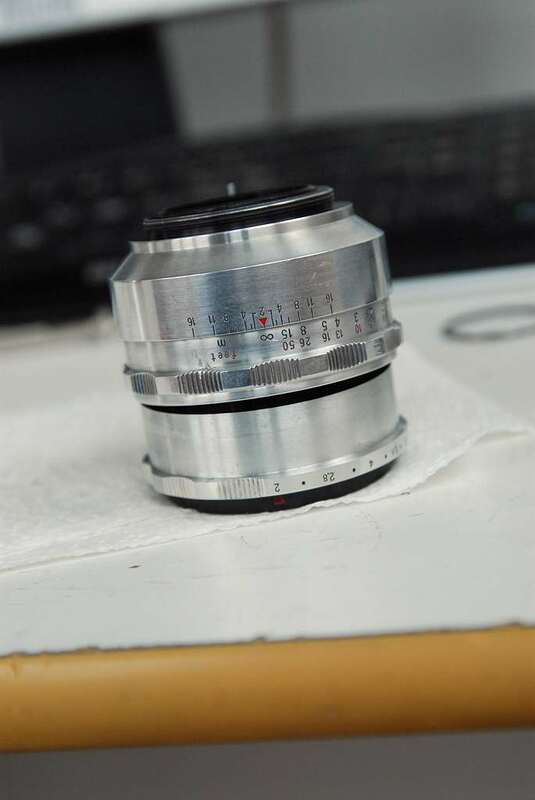 Stiff focusing ring on a Biotar 58/2...? No problem!!! 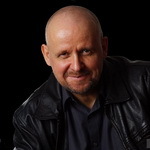 Posted: Sun Jan 17, 2010 11:01 am Post subject: Stiff focusing ring on a Biotar 58/2...? No problem!!! 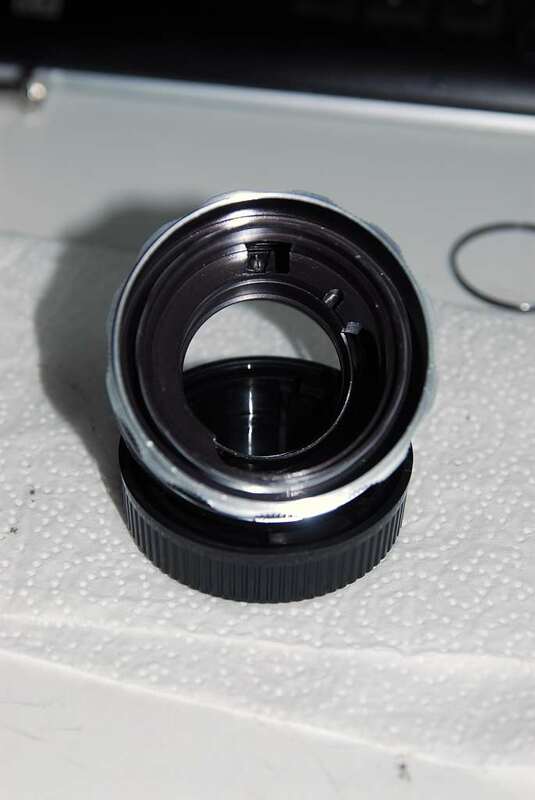 Before trying this the first thing to do is to check if you can unscrew the ring at the rear element, just loosen it and tighten it back, it will go off later, if you can`t unscrew it then i suggest that you DO NOT go on. 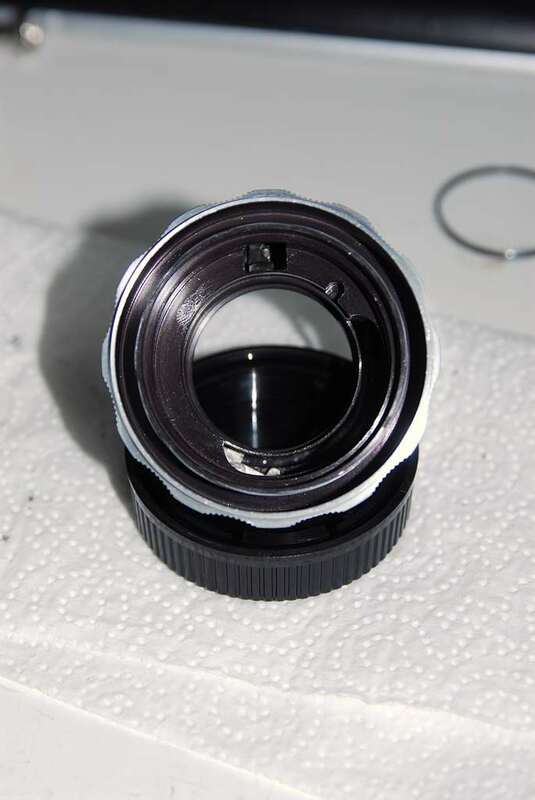 I did maneged to put back the lens even without unscrewing it, but it took me four hours! 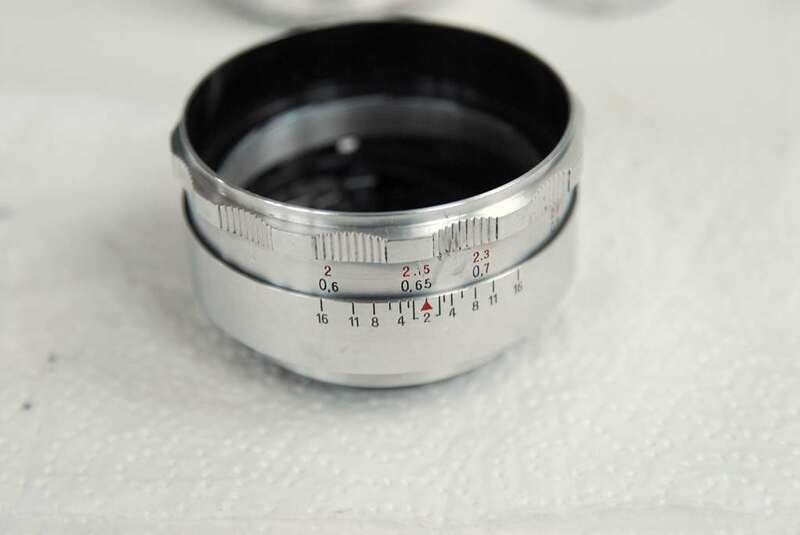 It`s the outer, bigger ring, not the inner that holds a lens element! 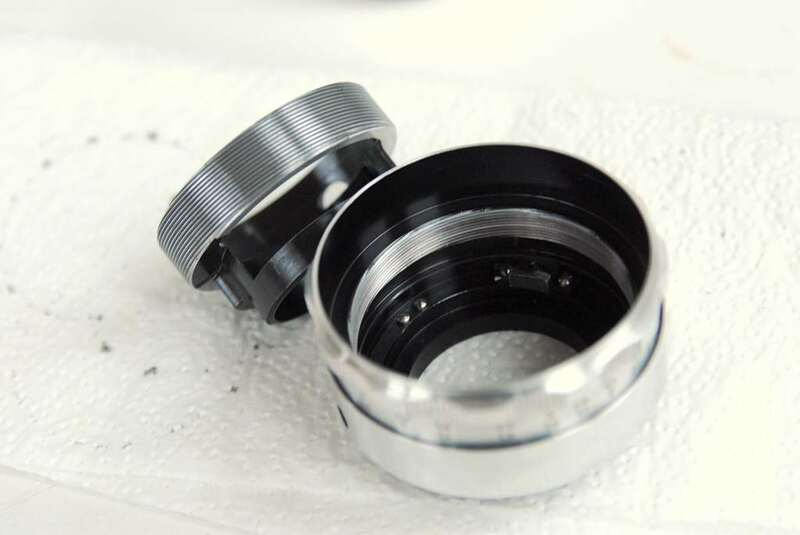 now you can clean, grease, lubricate, the threads of the focusing ring, use your preferred method, but NEVER use generic sprays like WD40 for example, use one that it`s not acid! 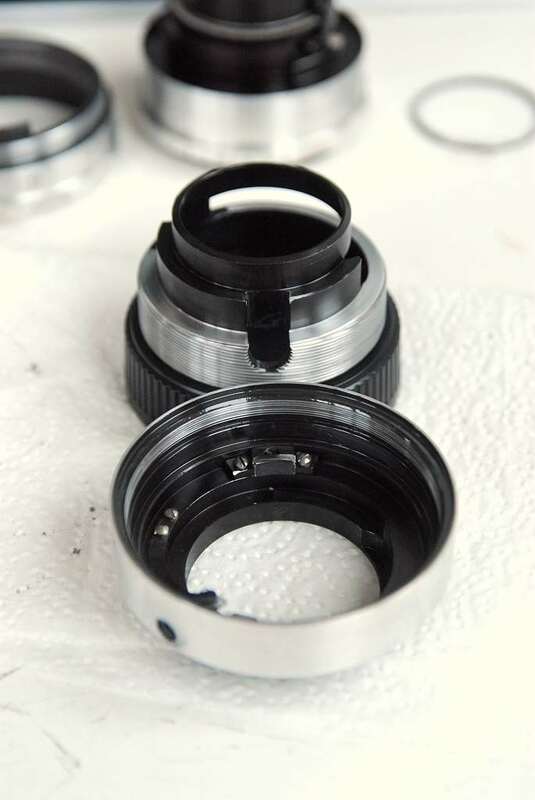 once you removed them pull up gently the inner ring, it should come off easely, clean, grease, lubricate and so on everything you want...after that it`s time to put the lens together !!! oh and dont`t forget to put the limiter screw back in!!! 4. to the administrators: feel free to move or remove the topic, if you think is too "dangerous"
5. please feel free to correct all the grammatical errors, and find a translation for the "tooth"
Congratulations ! Very helpful, precise tutorial ... ! I have a Biotar on the way to CLA, but I only "contemplate" it ... and unscrewed nothing for one year ... Many thanks ! 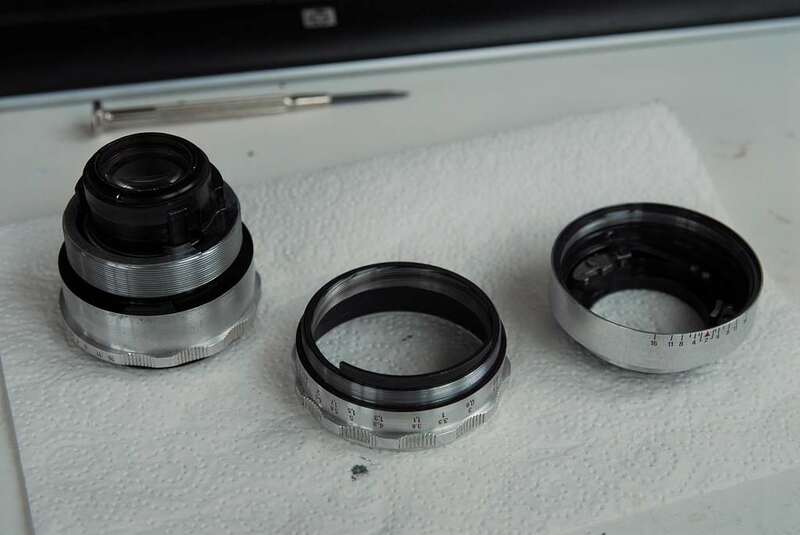 Putting back together this lens can be very frustrating. I managed to get mine apart & back together, but it did cause some problems at first. I did it differently to this though. I just removed the screw and it came apart. I have a technique of putting it together which requires 3 hands but it works. I have a technique of putting it together which requires 3 hands but it works. If you find a way or know of a way to adjust the infinity focus I'd be interested. Mine doesn't seem to hit infinity on my Chinon. 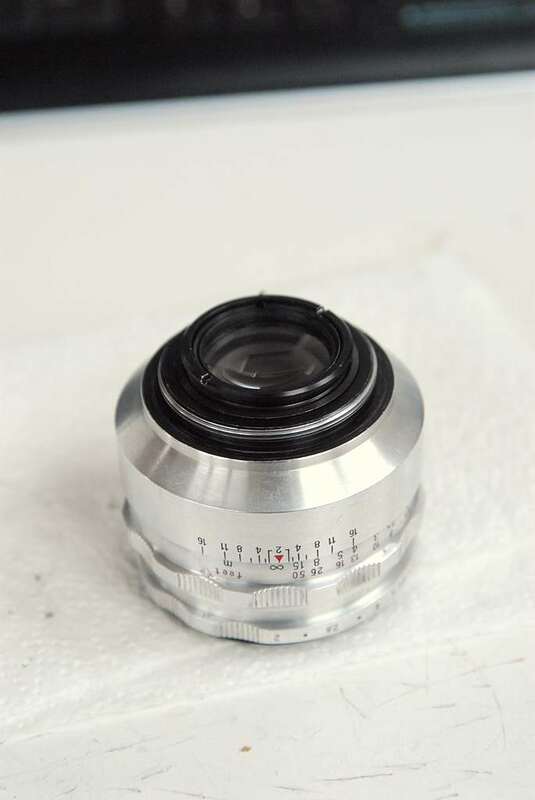 Most lenses are ok, but this one and another cause issues only on that camera. Great work Tomas. Is that Torx screw original?? I'd like to move this thread into the Equipment Care section, do you have any objections? Is that Torx screw original?? Posted: Tue Sep 09, 2014 2:27 am Post subject: grease? You really make this seem doable. 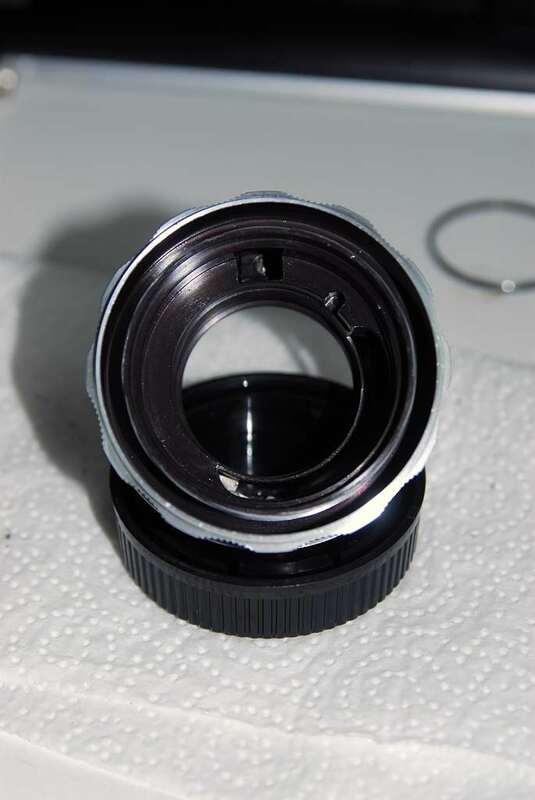 I have never taken apart a lens - what did you use to lubricate the parts? where does the lubricant get applied? As a new member I've not yet checked to see if tomasg is still active on the board, but I'm posting to say thank you. 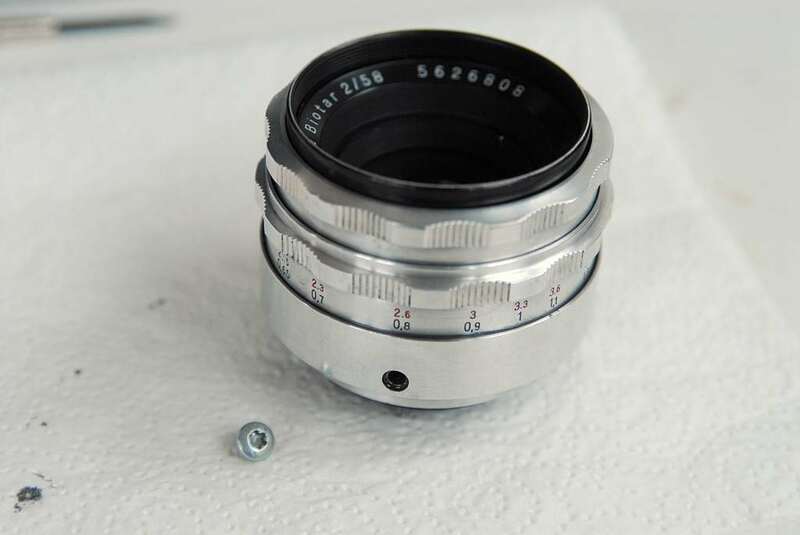 This biotar lens comes apart so easily your logic is defied when you find it's not so straightforward to reassemble it. So you continue to try to put it together as a reverse of how it came apart. Over and over again! I've read that doing the same thing over and over again expecting a different result can be a sign of madness. I may have been getting close. For a couple of months now I've randomly picked up the lens, tried to mate the two parts, *sighed*, then put it back on the shelf. Then I came across your post. 15 minutes later the lens is back on my camera (a Pentax SV). I have the feeling I can't be alone in reading your post and a lightbulb suddenly turning on. As I said earlier, the ease at which the lens comes apart seems to block your mind to reassembly being anything other than a reverse of the same. If I can help a bit in return. On reassembly I found the same problem of not being able to reach infinity. 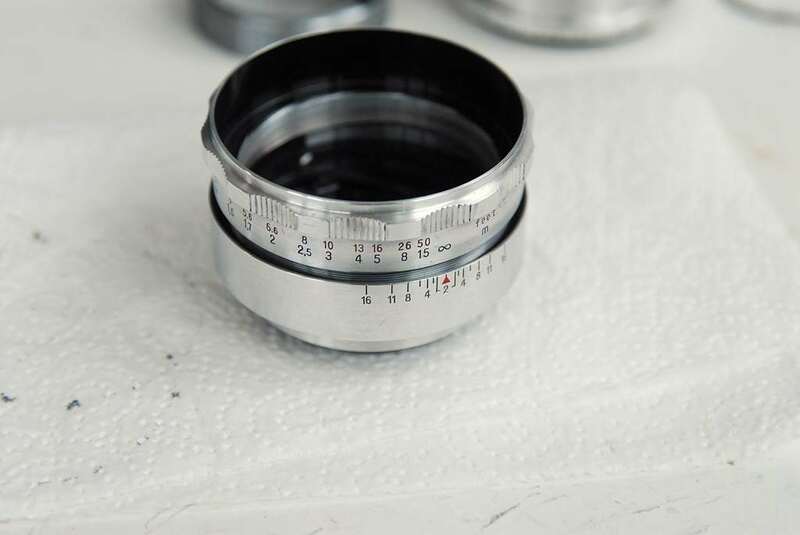 After some thought I introduced the focusing ring to the depth of field marked ring at 2.5m rather than infinity as you suggested in your original post. This has allowed infinity to be achieved, but at the expense of the distance scale being slightly out. Infinity is being reached just before infinity as indicated on the lens barrel. But at least I now have infinity. 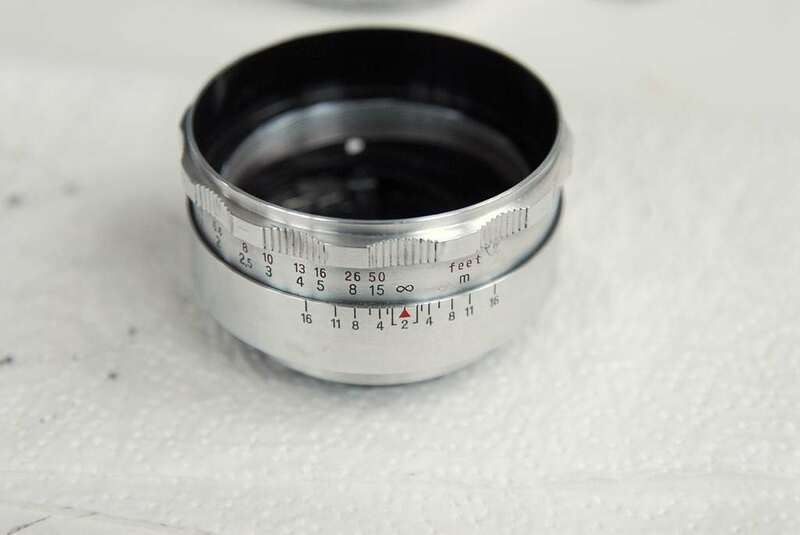 When I have more time I'll be going back to do some more trial and error on where the best position is to introduce the focusing ring to the depth of field ring. Posted: Wed Mar 29, 2017 2:20 pm Post subject: Re: grease? For the various threads I used a simple general purpose grease. I don't know if that is correct or not. Time will tell. I used the smallest amount I could get away with - just enough to give the threads a 'wet' look in reality. You couldn't actually see any grease if that makes sense, just the sheen. The focusing is now very smooth and with just the right amount of resistance (for my taste anyway). I did actually experiment with giving the threads a wipe with watchmakers oil first, just to see how it felt. 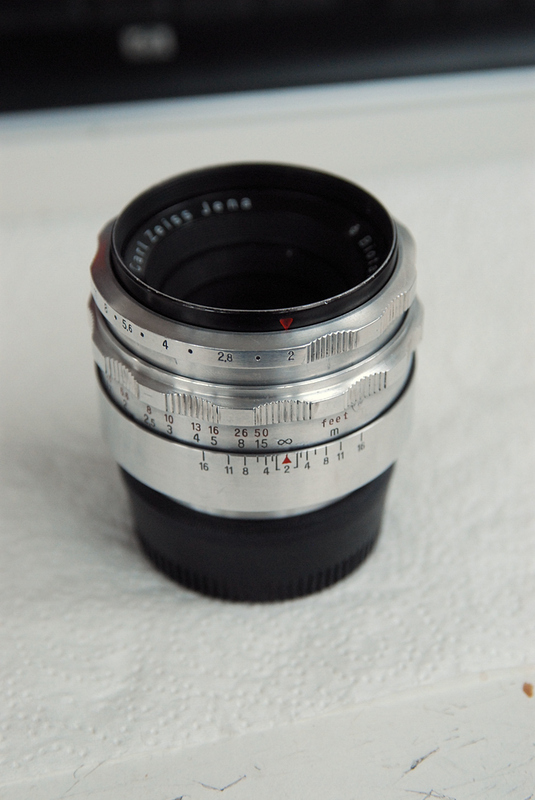 It produced zero resistance (damping) when focusing, although the focus did not move once set. But I didn't like the feel, and also had visions of the oil, as sparsely as I had applied it, eventually finding it's way to places it shouldn't go. So I wiped it off and applied the grease. 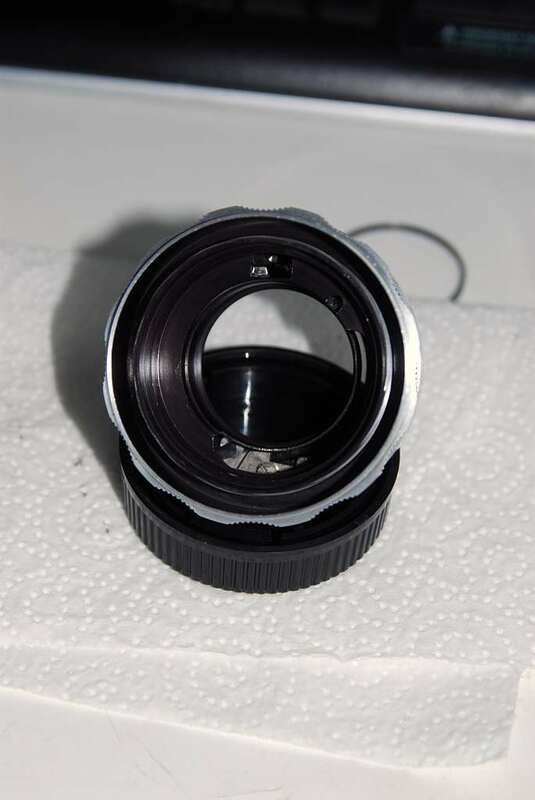 With regard to the other mechanisms - the aperture selection and pre-set function for example, my advice (as an amatuer at this) would be to leave it alone if it is functioning correctly. And if it is sticky, try lightly and gently cleaning before thinking of doing anything else. I always have in my mind that oil/grease and fine mechanisms are not perfect bedfellows. For mechanisms in the camera itself for example, I go no further than a drop of watchmakers oil being pulled off the end of a sewing needle (capillary action? - just load the pin with a drop of oil and touch where you want the oil to go) And even then I'll still find myself wiping off the excess. These things can be trial and error, but always start with what you think may be too little. You may find, surprisingly, that it's sufficient. Still alive and kicking, although i mostly only read posts here now. Soon i ll have my tutorials posted on another site with which i am starting a collaboration, i ll post the links here. 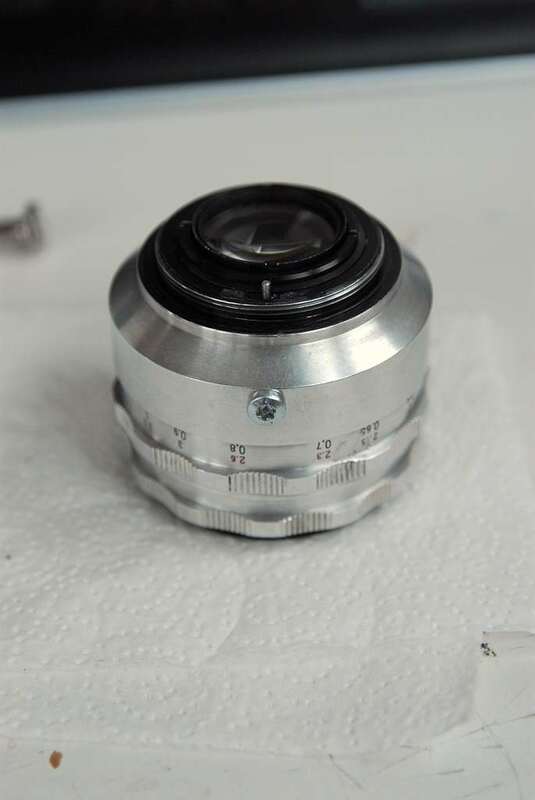 Regarding the infinity on my Biotar i found out that the cause must be the fact that i used the front part of the optical block from another lens, so mine is a kind of a hybrid. 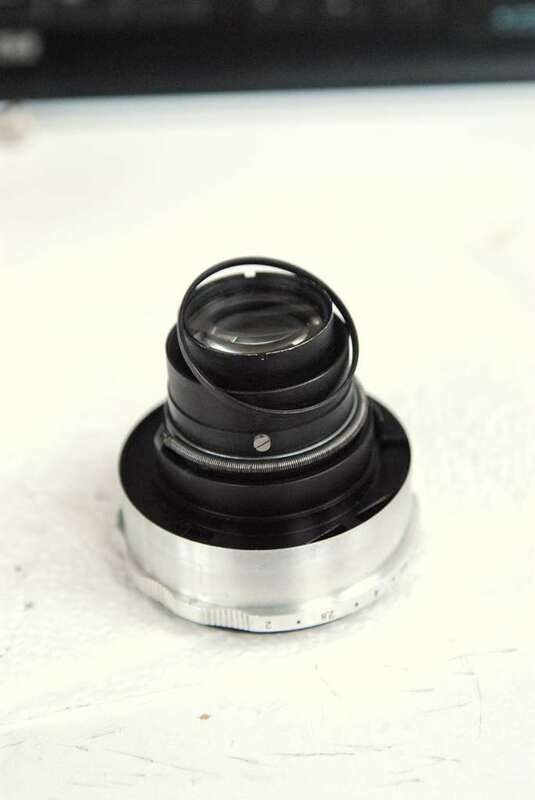 If i put the whole optical block of a Tessar lens with its original shim it reaches infinity with the Biotars "body". 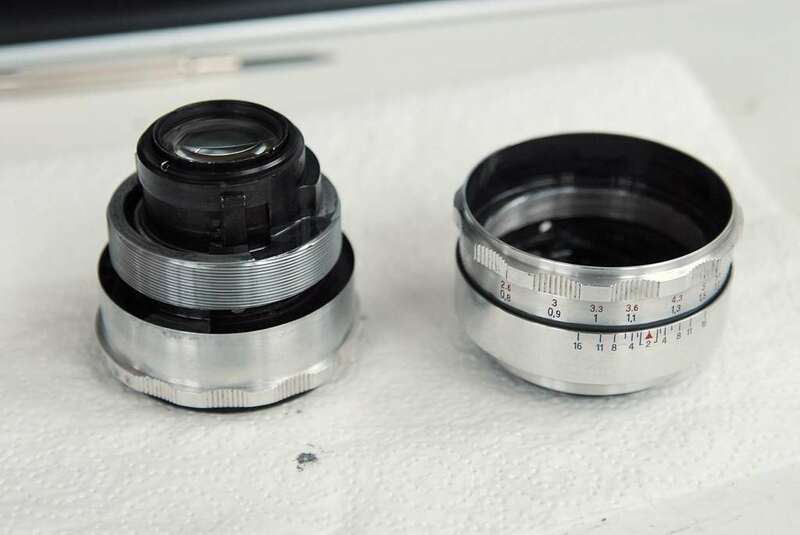 The two lenses are clones mechanically. Viceversa if i put the Biotars block into the Tessar body infinity is lost. A small tip for greasing, i find most of the greases to stiff to be applied in a correct amount, since the are difficult to sprad on the threads we put more of it, resulting in a stiff focusing. I add few deops of oil to the grease in a small pot, mix it and applay it to the threads. This way i put the correct small amount of grease and since it s softer it s easy to spread it with a brush and grease all the thread. At first the focusing is a bit on a soft side, but as the solvent in the oil evaporates it gets stiffer, after a couple of weeks/months. 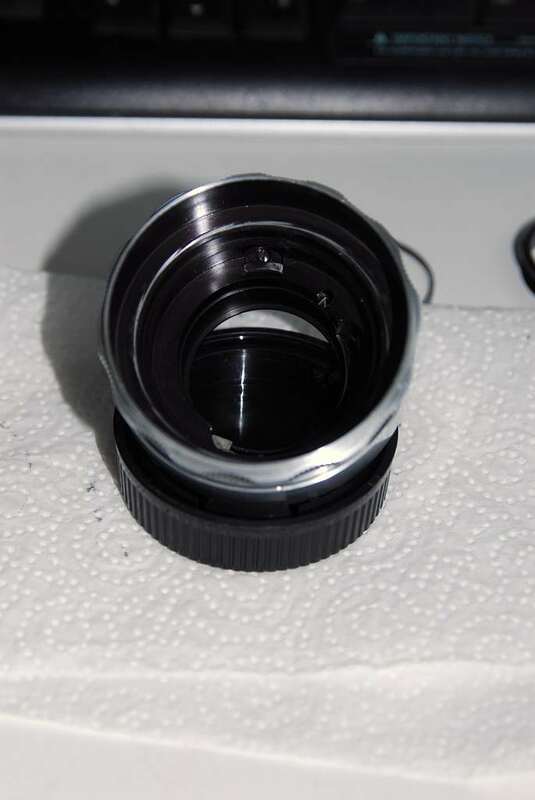 I use 1 or 2 drops max, so i wouldn t over obsess about the residue depositing on the lens surfaces, but even if that s the case it s easy to clean them. I first coated the threads with oil to see what it was like. Then I wiped and applied grease. I know that there would still have been some oil in the grooves before I applied the grease as I only gave it a 'surface' wipe. As I too ended up with a really nice focusing action it seems that it's a good combination. Do you follow a similar regime on other lenses Tomas? 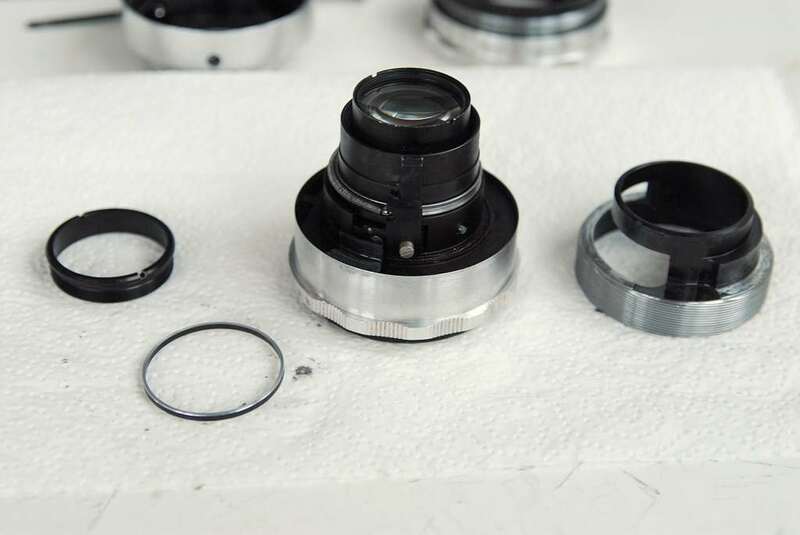 Yes, on almost all lenses i grease them with a diluted grease, though i prepare fresh grease every time, really the amount of grease is smal plus a drop of oil, it can be done even on a piece of paper or wood, almost like a painter does it. 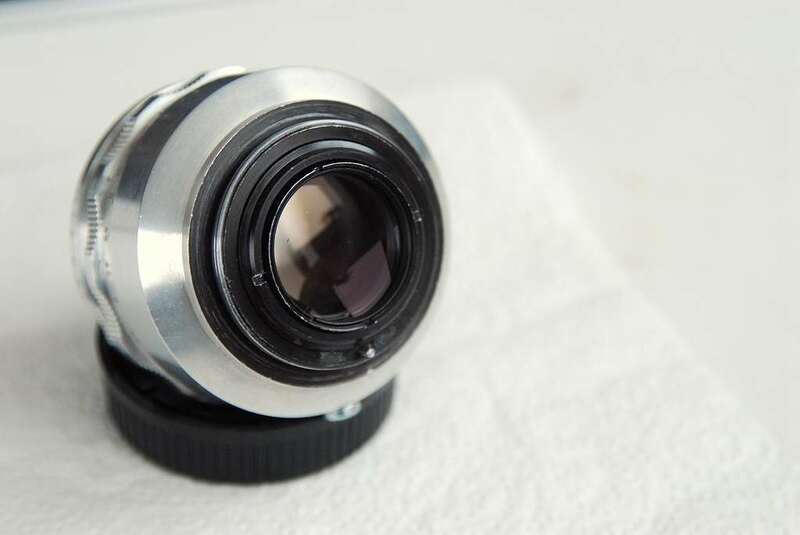 Has anyone tried this with the older 17-blade version of the lens? Any tips?